The PlayStation Vita isn’t dead quite yet, but that’s not due to software support from Sony. The only thing keeping Sony’s portable relevant at this point are ports of indie games, and niche Japanese titles (that tend to be role-playing games or visual novels). Still, the system has had an impressively long lifespan for a system that was abandoned by the manufacturer years ago. While first-party support on the Vita is completely dried up at this point, it wasn’t always that way. Sony initially supported the system quite heavily at launch, as they released new entries in established series, and helped create new franchises on the system. In order to showcase the good side of Sony’s Vita support, we decided to take a look at 10 of the best first-party Vita games. Just a reminder, first-party means that Sony was involved in the game’s development, and published the title. 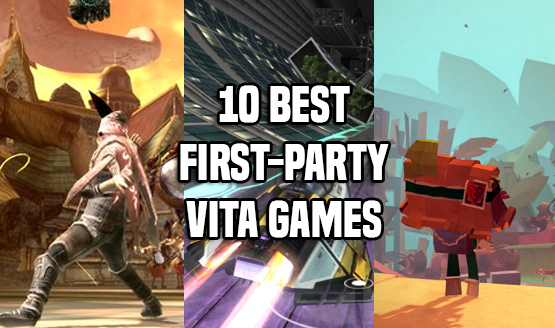 With that out of the way, check out our list below of 10 first-party Vita games that you need to play! We hope you enjoyed our look at 10 best first-party Vita games. Support didn’t last for very long, but it was still long enough to see new entries in some of Sony’s biggest franchises. From Uncharted to LittleBigPlanet, Sony was once very invested in the handheld space. They also managed to launch some new properties that have gotten a second chance on PlayStation 4, such as Gravity Rush and Tearaway. Let us know in the comments below which first-party Vita games you’ve enjoyed playing, and which one is your favorite!